His lo-fi, garage-rock style permeates the project—a collection of songs he wrote years ago, recorded on an 8-track in the singer’s bedroom. David Hopkins, Trade Vorhees, Ted Rader and The Lique. It simmers with funky, playful eroticism and electronic bells and whistles—fluttering beats, moody piano riffs and lush orchestral arrangements. There’s either a delightful EP to be carved out here. He channels Radiohead, Faces-era Rod Stewart, Of Montreal and Townes Van Zandt on his latest album—and that’s just on the first of its four sides. The pointed political, social and personal statements match the stringent vibe. At this point, the only constant from album to album is the band’s dedication to ambition. Bassist Nate Brenner partners with leader Merrill Garbus for an approachable and dancey record. It’s not like Ed Sheeran is gonna take us where BRMC can. Anyone who discovered COC at the band’s popular height should be satisfied with this effective return to the familiar. The rap game has passed him by. The trio strives to expand its sound on its first album in seven years. Where did Slowdive, LCD Soundsystem, Shamir and SZA place on our lists? Candy Warpop, Hard Pipe Hitters, Illicitor, LAM and The Rhyolite Sound. Songs that follow his formula of sexually-charged R&B/soul can feel odd filtered through a political lens. The record’s sequencing adds to its abrasive moments. When you’re making U2 music that’s only as good as Snow Patrol, it’s time to reassess. The first sounds are birds chirping—and then an unsettled digital squiggle that sounds like a squeaking robo-mouse. It’s rare that a show with so many different kinds of performances maintains such consistency from act to act. After one of the most hotly anticipated nightlife debuts in recent history, KAOS officially reigns in Las Vegas. Plus, cannabis-friendly destination and pro-weed celebrities. "I don’t trust people with their clothes on ..."
What are the time-tested stoner treats? Why do we get the munchies? And other cannabis-related questions. 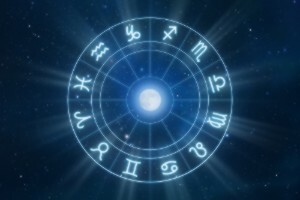 Try not to fall into the easy trap of relying on satire, sarcasm, cynicism and irony, Virgo.